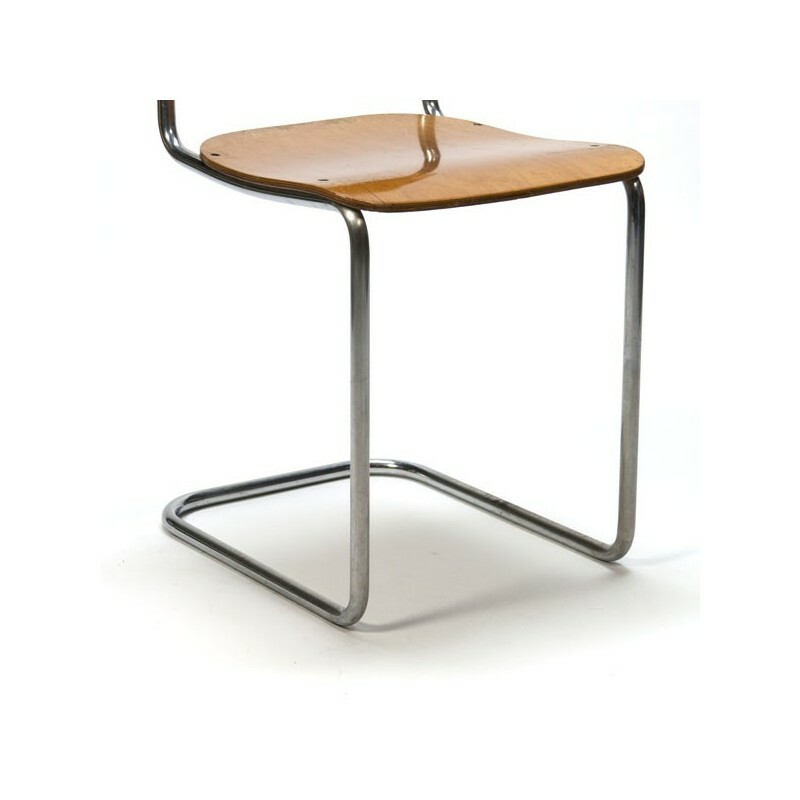 Vintage tube frame chair from the 1960's. 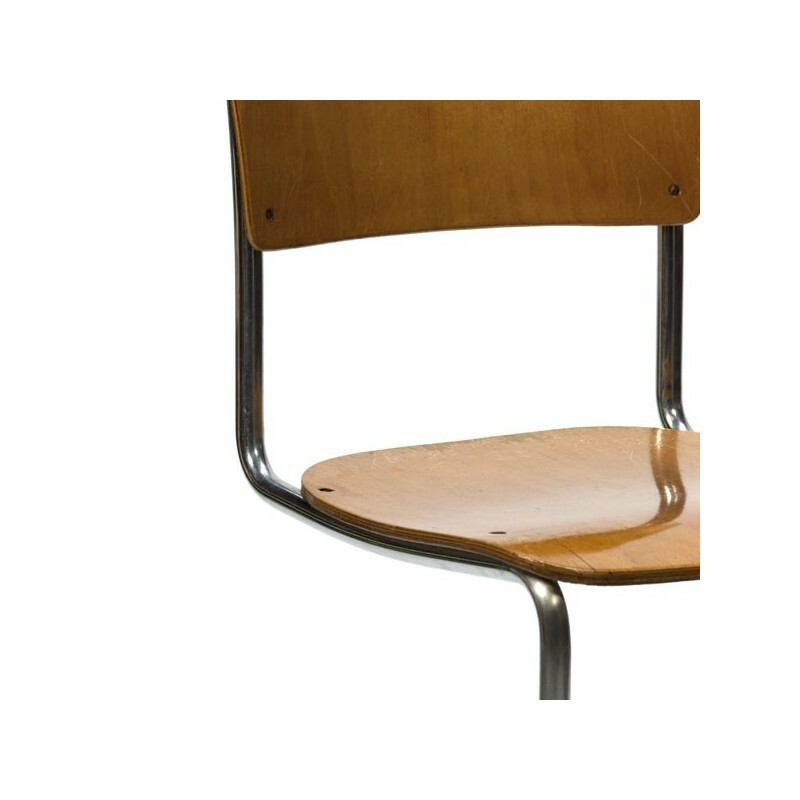 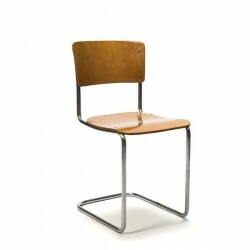 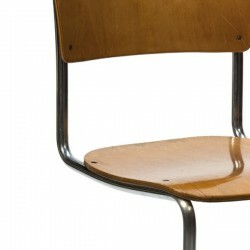 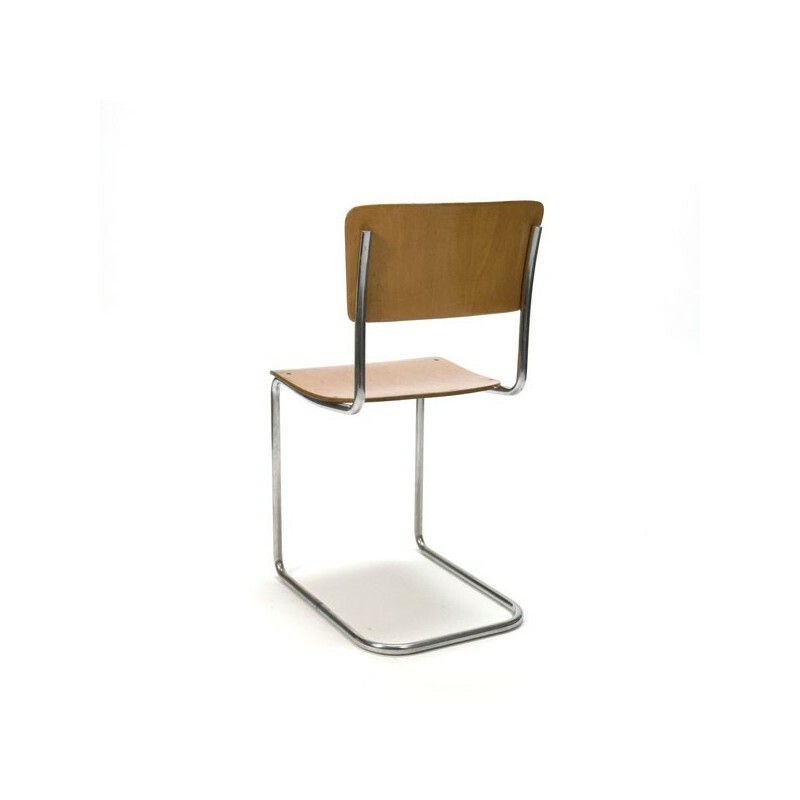 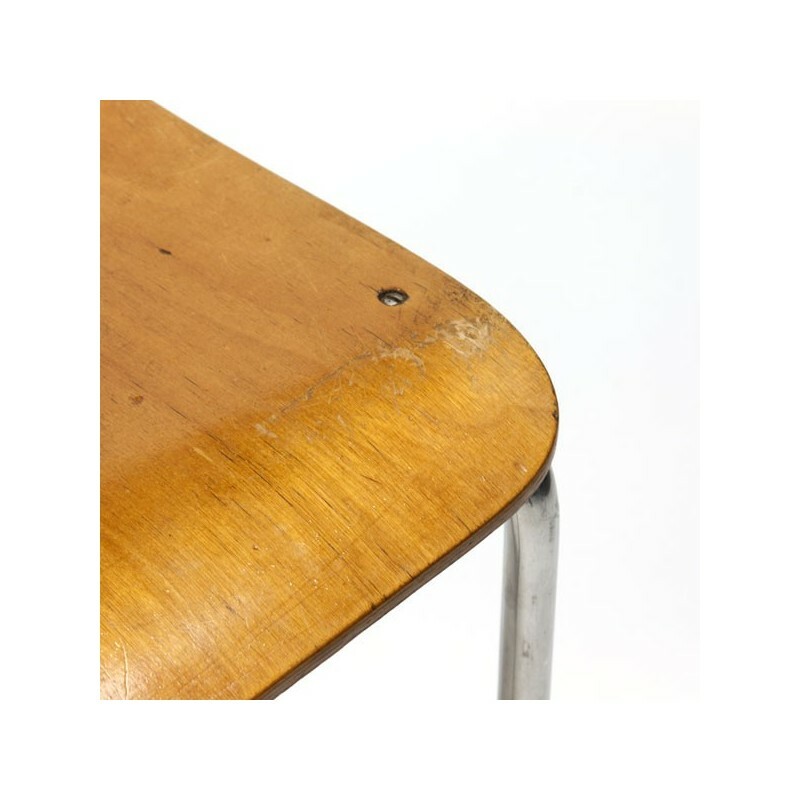 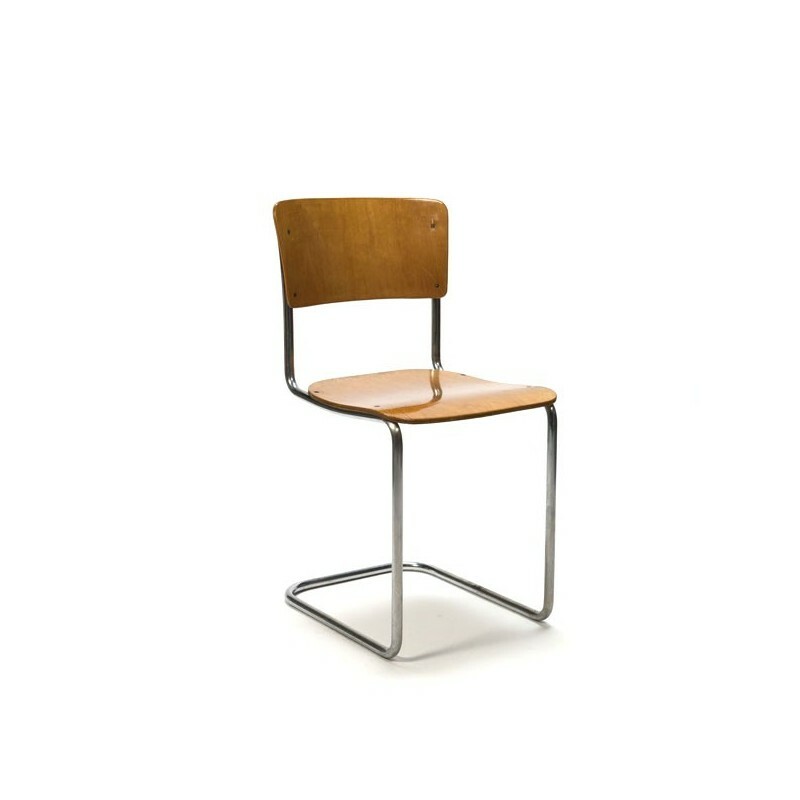 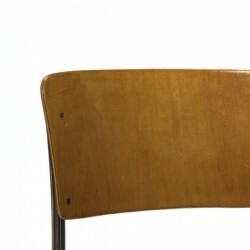 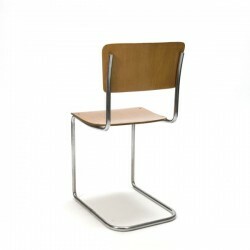 The chair has a wooden seat and backrest and a chrome frame. 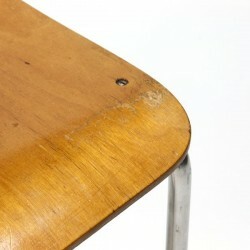 The condition is good given the age, small traces of use, see detailed pictures. 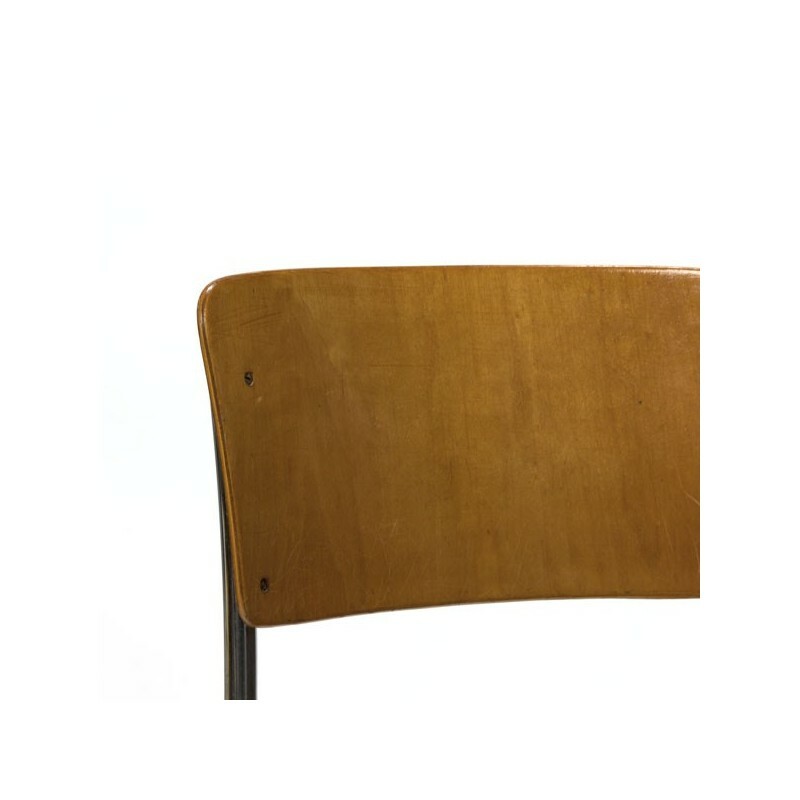 The size is 80,5 cm H / SH 46 cm / 41 cm W.